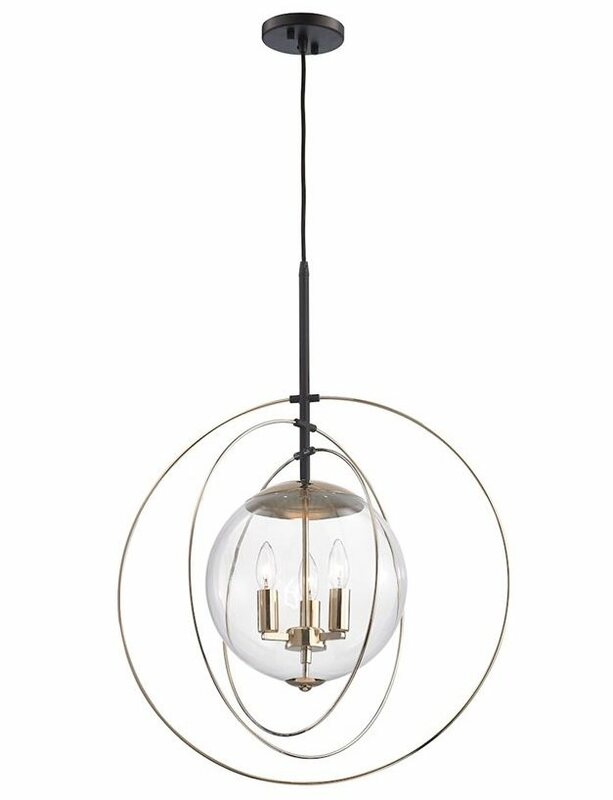 The Isa Chandlier has a modern and light feel. 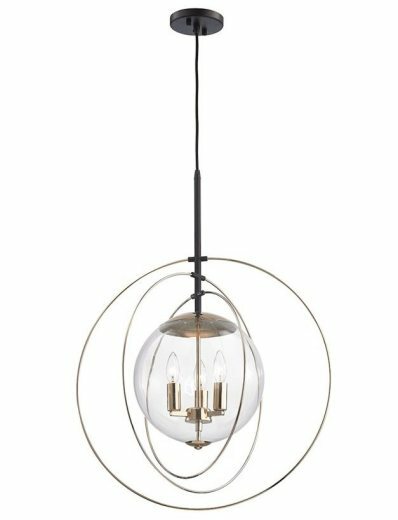 With three rings orbitting a clear glass globe, this fixture has on trend finishes of polished gold and oil rubbed bronze. Elevate your space with this beauty.